Growing up in South Florida in the early days of house music was quite an experience and inspiration for Frank. He was intrigued by Miami DJ’s like Lazaro Mendez, who would spin on three turntables at the Power 96 parties. Technics turntables and a mixer were the instruments of choice back then. 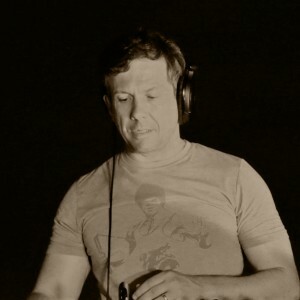 After having moved to New York City where he immersed himself in the underground house music scene (Tunnel, Twilo, Soundfactory…), Gatto decided to purchase his own decks, mixer and 808, and on July 4th, 2001 he spun at his first underground party in New York City. In 2004 he was invited to open up for DJ/Producer Hipp E at Sullivan Room. More bookings would follow at Sullivan Room, highlighted by playing the opening set for Derrick Carter at Sleepy & Boo’s Basic party in May 2005. Soon after, Gatto was spinning at Miami’s Winter Music Conference alongside greats including Josh Wink, Charles Webster, Andy Caldwell and Tommie Sunshine. In 2007, he decided it was time to pursue his ultimate goal of producing his own tracks, and after countless hours in the studio and learning the tricks of the trade, he released his first EP in July of 2016 on Brooklyn’s 3Bridge Records. Frank continues to spin at select clubs and events around NYC and beyond. You can also catch his internet radio show (monthly) on Saturdays on techno.fm with DJ/Producer Elliot DeHoyos.